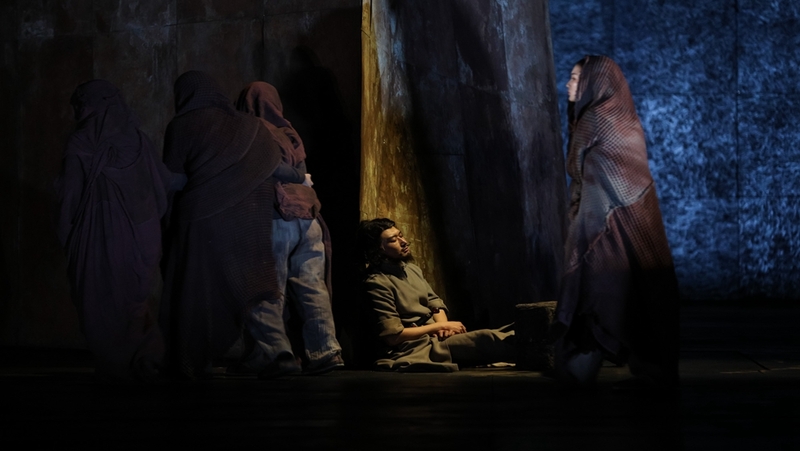 On the evening of January 26th, Shakespeare’s drama King Lear, a co-production of the NCPA and Beijing LI Liuyi Theatre Studio, was staged at the Theatre of the NCPA. 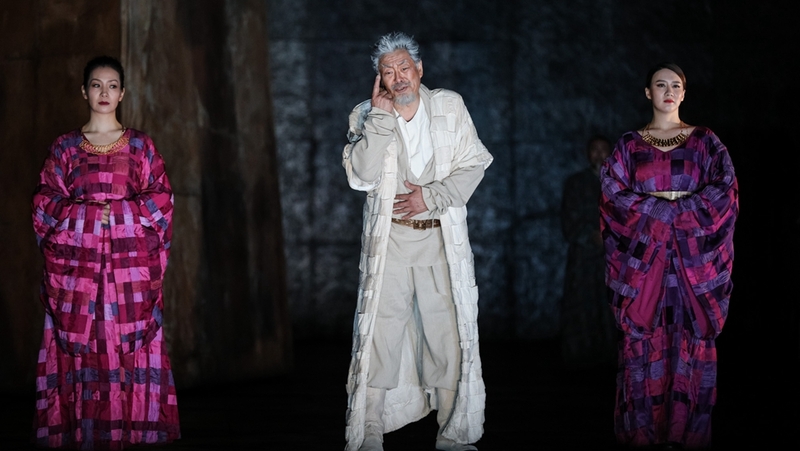 This version of King Lear was produced by famous theatre director LI Liuyi with German set designer Michael Simon and Emi Wada, winner of the Academy Award for Best Costume Design. 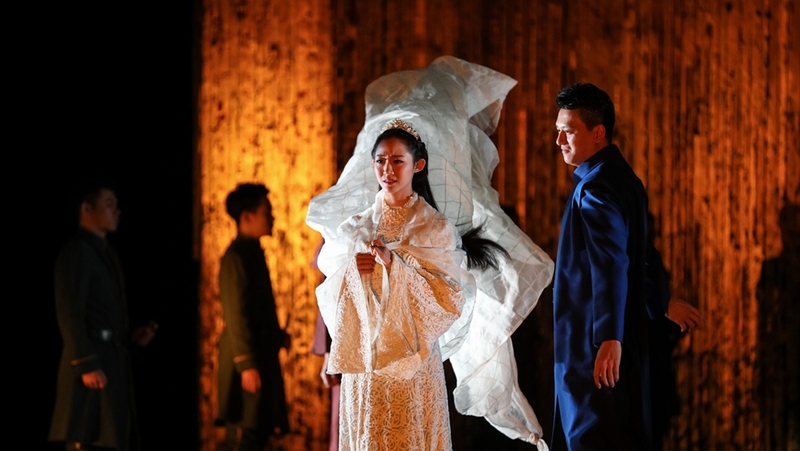 The drama stars national famous artist PU Cunxin, NCPA Drama Ensemble and the artists of Beijing LI Liuyi Theatre Studio, engraving the endless charm of the Shakespearean classic on every viewer’s mind. 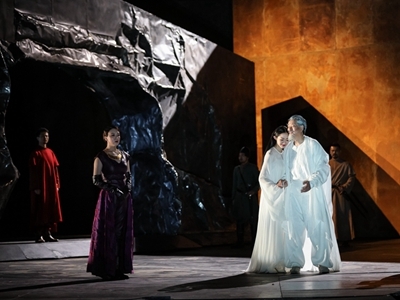 The NCPA and Beijing LI Liuyi Theatre Studio co-produced and staged King Lear in 2017, with the drama rehearsed in a new translation from the Royal Shakespeare Company’s “Translation Plan for Shakespeare” in a bid to pull Shakespeare down from the altar to restore the nature of the Shakespearean drama so that the tragic power could be presented to the public. 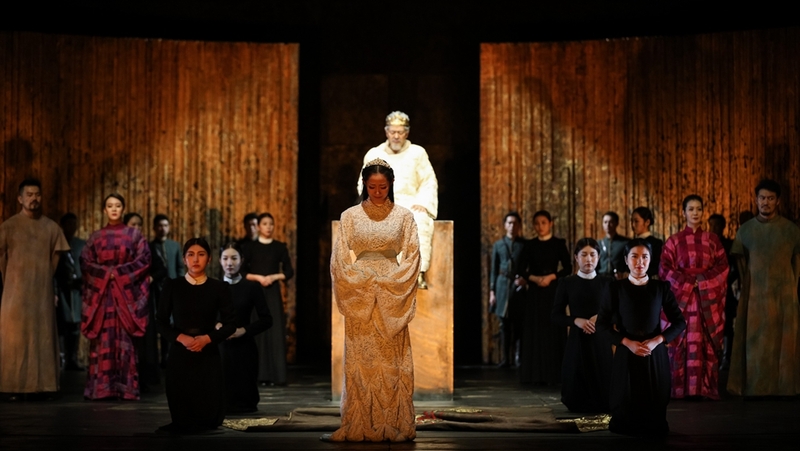 The Drama was performed on a simply furnished but elegant stage. 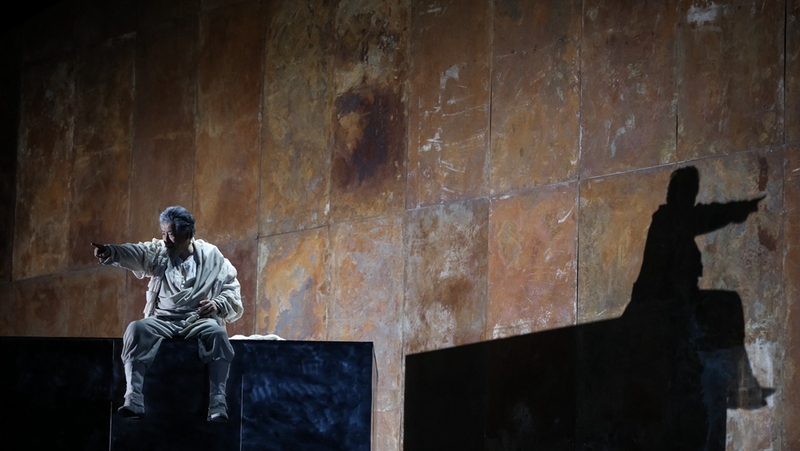 In order to reveal the nature of the Shakespearean drama, set designer Michael Simon combined the traditional elements with the symbol of power, giving the stage a profound symbolic meaning, making it understandable to the audience as if they were personally on the scene. 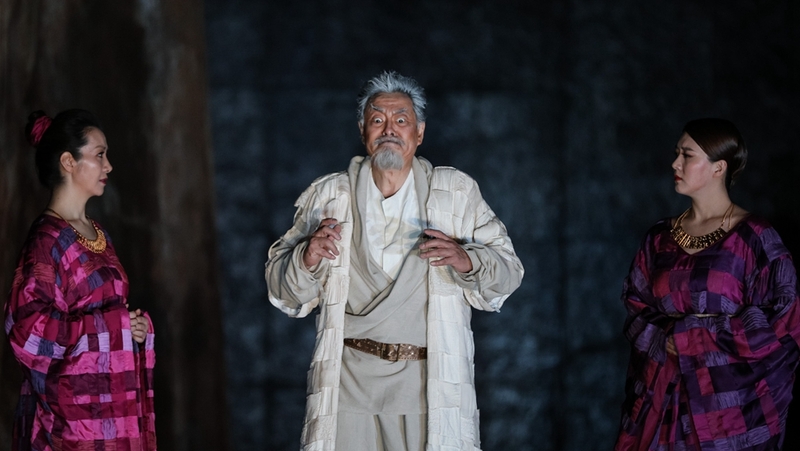 In order that “King Lear could better reflect the present age from a historical point of view”, costume designer Emi Wada expressly fused the classical and modern aesthetic characteristics together in costume design, with the costumes, characters and story bringing out the best in one another. 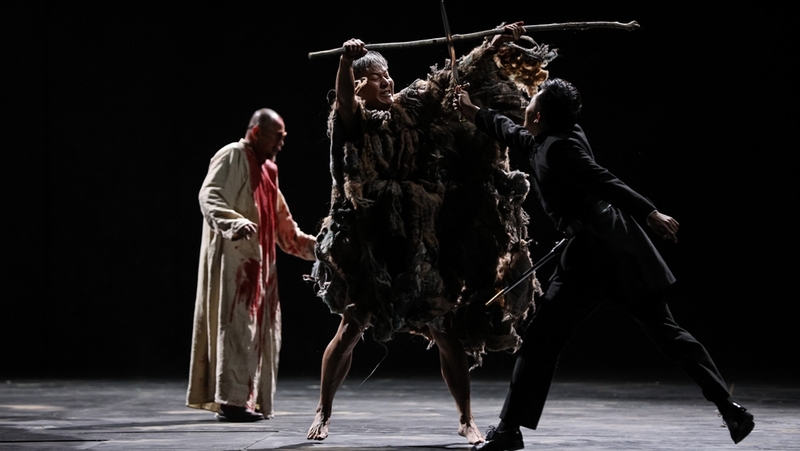 That evening, PU Cunxin interpreted character again with his consummate performing skills. By carefully understanding and vividly portraying the character, he acted out Lear’s role as a king and father with plot development. 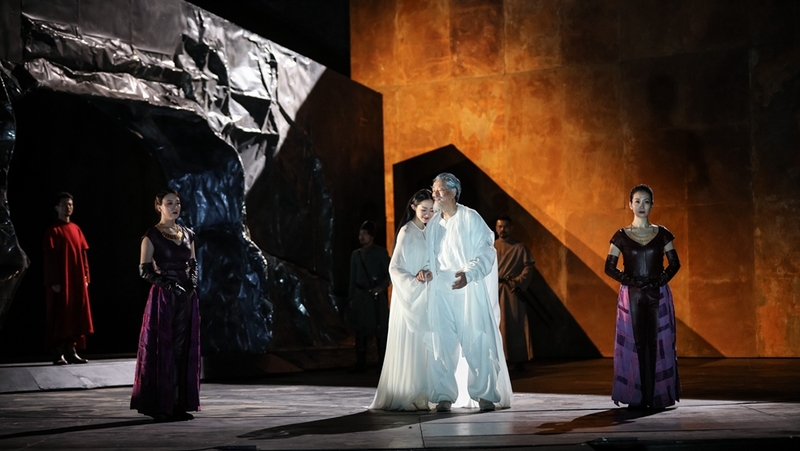 Meanwhile, other artists including WEI Xiaoping, LU Fang, JING Hao, ZHAO Ling, YANG Qi, WAN Qianhui, Jampa Tseten and LUO Wei, showed their talent on stage that evening, portraying the roles of the distrust, hostility and misunderstanding between Lear and his daughters, as well as Gloucester and his sons. Goneril is arrogant and domineering, while Regan is scheming. Neither of the two princesses do not go about with her head high in the air. 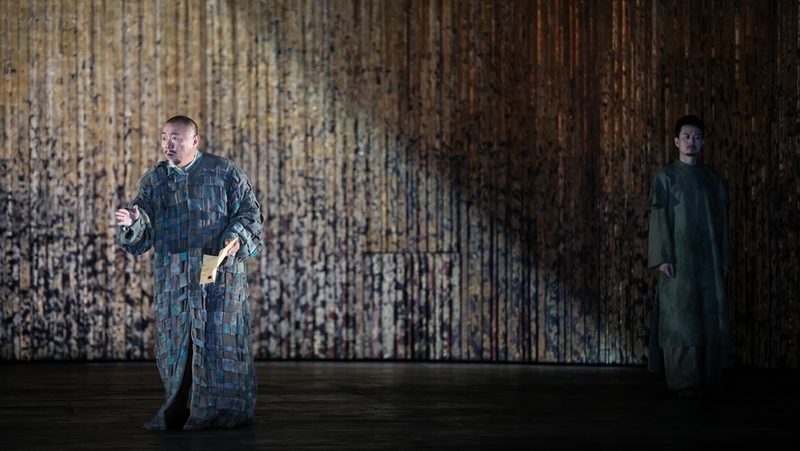 In the original, the two “evil women” die in different ways in different spaces, but on stage that evening, they met their sudden death simultaneously in a twinkling with their fine clothes cast into the shade. 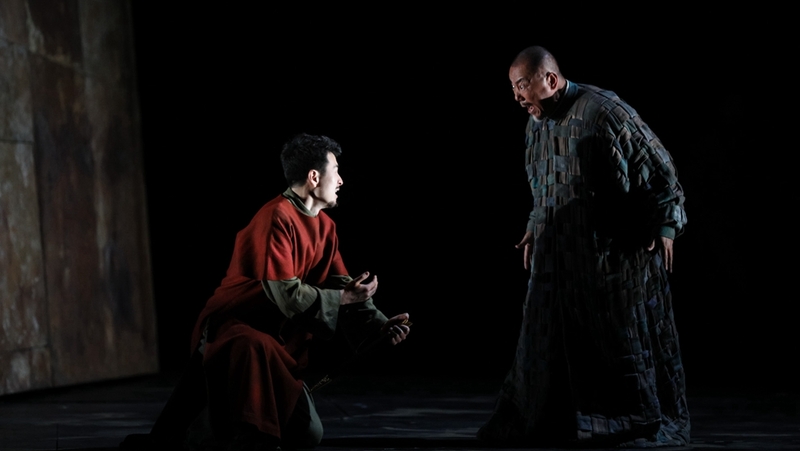 Drama King Lear will continue to be performed until February 2nd as a Spring Festival gift for drama lovers.